The role of an author is constantly changing and increasing in its demands. Let me help you with some of the details of your book so you can focus on what you do best–writing! Social media marketing — Facebook, Twitter, Pinterest, Google+, Amazon, Goodreads, etc. 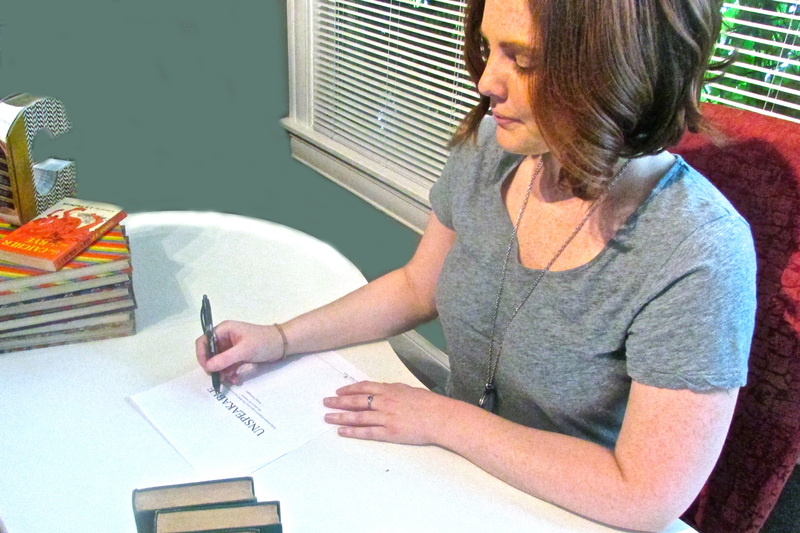 ***And now introducing a new service for authors–Book Bible Creation! 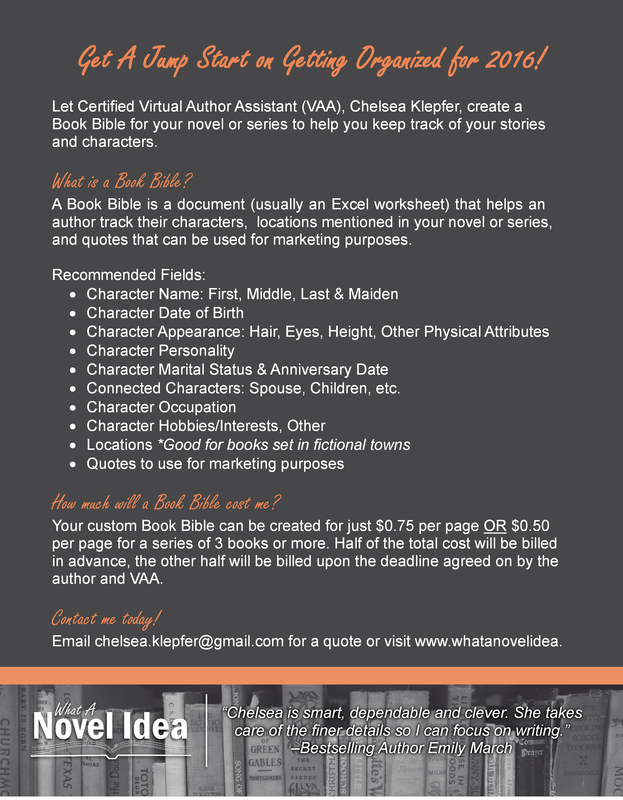 I’ll take your book or series and create a searchable excel document of your characters, locations, etc. that you can refer back to as you’re writing sequels, running promotions, or looking for marketing material. I can also mark quotes to use for marketing purposes as I go or create family trees for characters in your stories. Read more. Click here to check out my Portfolio of past work I’ve done for clients. If you’re interested in learning more about my services or if you would like to get a quote, send me an email using the Contact form.